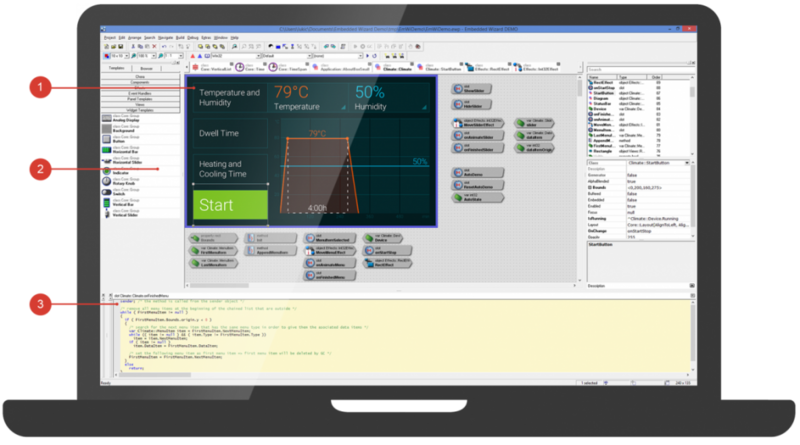 With Embedded Wizard Studio’s fully integrated IDE, developing graphical user interfaces for embedded devices becomes easy. Sophisticated utilities, like the object browser and the ‘element inspector’, provides you with an easy overview over the application structure and give you a quick access to its members. You will find everything you need in one familiar place. what you get) and evaluate your GUI’s appearance already at design time. Even target constraints, like limited color range, can be displayed in the IDE. supports you with an easier development workflow. 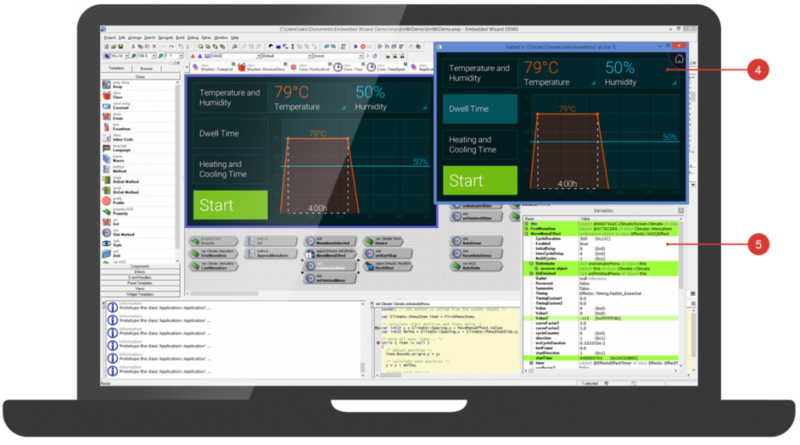 Fast development and easy to maintain code thanks to Embedded Wizard’s programming language Chora. It is fully object-oriented, platform independent, highly stable, easy to learn and the integrated Garbage Collector takes care of the used memory. Moreover Chora is enriched with features dedicated for User Interfaces (e.g. colors, fonts, forms, themes, styles, languages, UI patterns like MVC and MVVM and others). The integrated debugger enables the step-by-step execution of ‘Chora’ statements, the setting of breakpoints and inspection of all variables, objects and the call-stack. By highlighting only the visible areas to be updated you can also identify possible bottlenecks already during your development phase. All components and widgets can easily be copied, modified and extended to achieve any desired look and behaviour.